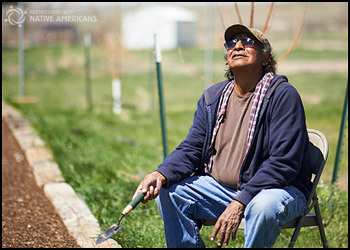 Partnership With Native Americans (PWNA) is a 501c3 nonprofit organization committed to championing hope for a brighter future for Native Americans living on remote, isolated and impoverished reservations. The talent behind the PWNA brand is an integral part of our continued success with reservation partners, donors and collaborators. Our core values stress that “our employees are the source of our strength.” We could not do what we do without their passion and caring hearts for making a difference in Indian country. PWNA employees often possess a passion for our mission, a recognition of the injustices in American Indian history, an awareness that American Indians are underserved in the US, and enthusiasm, professionalism, and solid skills in their field or specialization. Partnership with Native Americans is an Equal Opportunity Employer. We do not discriminate in any aspect of employment on the basis of race, color, religion, gender, gender identity, age, national origin, disability, citizenship status, sexual orientation, veteran status, marital status, ancestry, pregnancy, ethnicity, or any other legally protected status in accordance with the requirements of federal, state, and local law. Partnership with Native Americans is a DRUG FREE workplace.